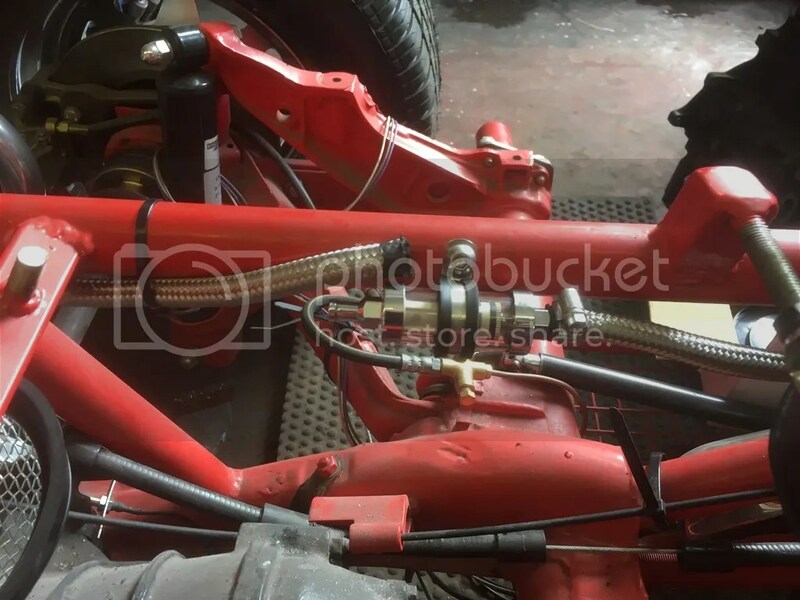 The fuel hose is not a cheap item coming in at £16 a meter, but it is resistant to the effects of petrol on rubber. 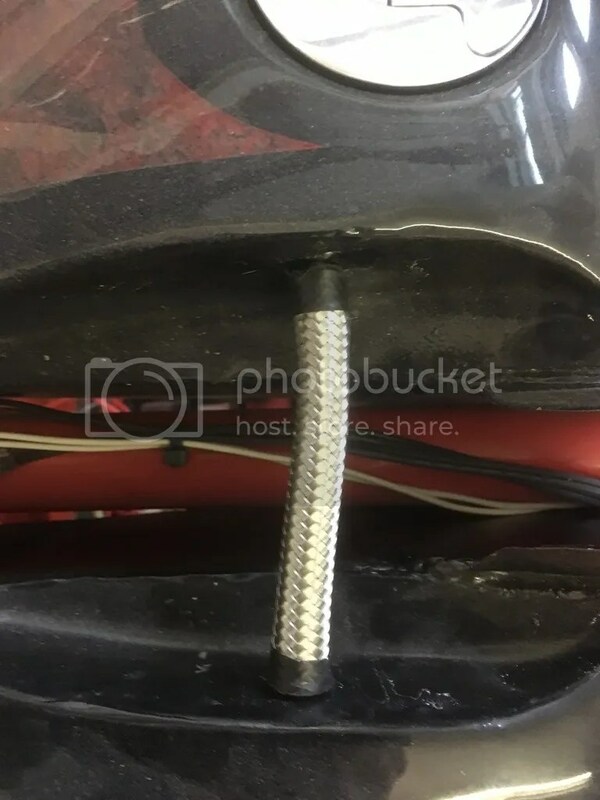 To begin the install I decided I would start at the fuel filter (a nice glass and chrome unit), so it was mounted close to the back end of the seat rails. I drilled and tapped a hole for a M8 mush head stainless steel bolt to be inserted and secure the P clip. Both barbs of the filter are 5/16th, so the fuel pipe fitted perfectly. However I decided to secure the pipe with a jubilee clip for that added robustness! 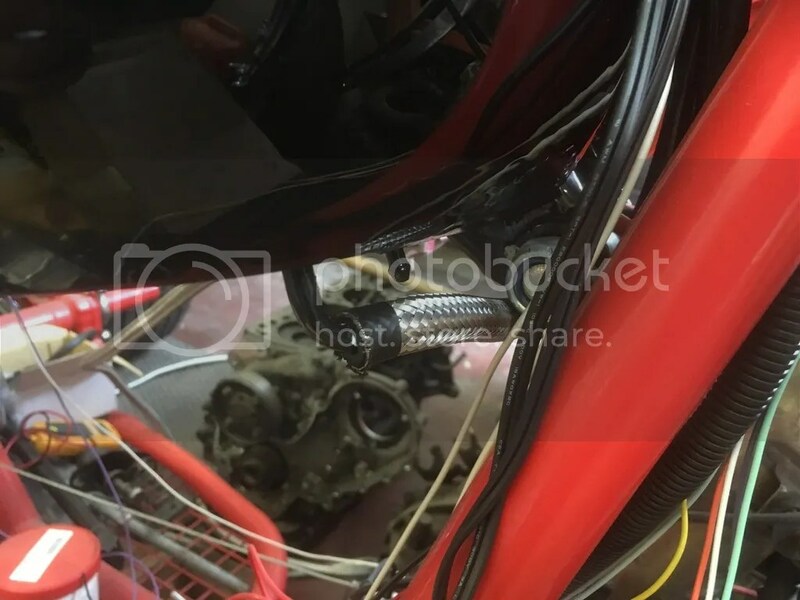 I suspect that even if I hadnt the fuel lines would have been secure as the fit was incredibly tight. 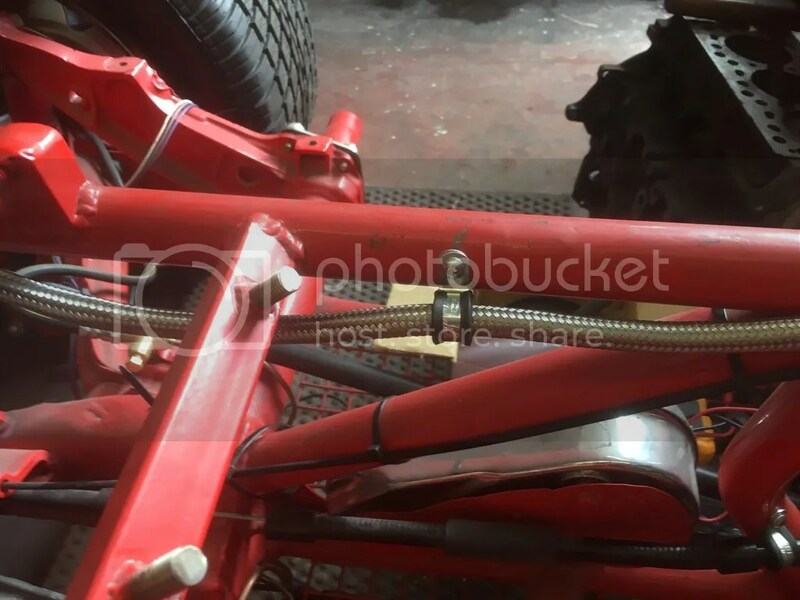 I moved forward from this point attaching the fuel line with P clips less than 12 inches apart (part of the MSVA requirements) to secure the pipework to the frame using the drill and tap method, but with slightly smaller M6 bolts. This is a short run of 8 inches to the first P Clip from the filter. The process is drill the hole with a 4.5mm drill, then take your tap and carefully wind it into the hole creating a thread for the bolt. 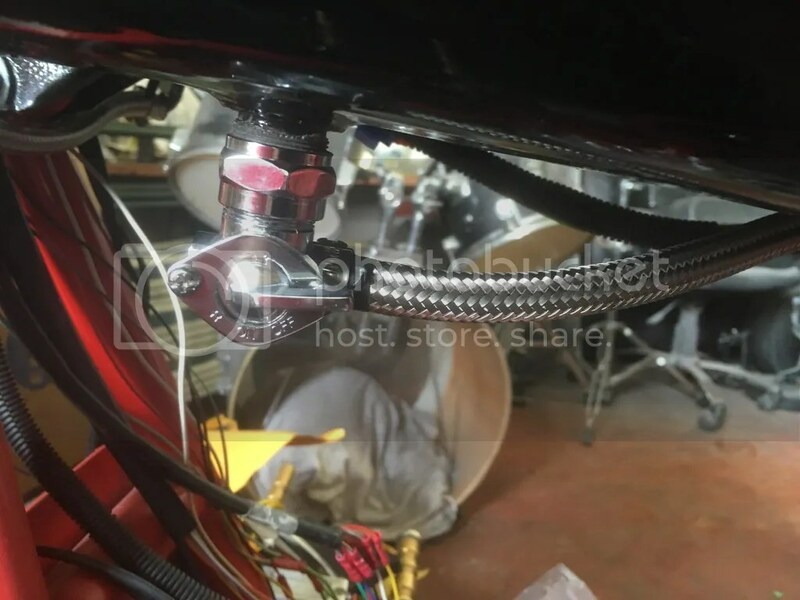 You then fit the 13mm P Clip around the fuel line and secure it with the bolt. Care must be taken when using the tap. If the tap breaks then it becomes a nightmare removing it and then you will have to fit a larger screw. Finally I arrived at the fuel tap and secured the fuel line at this point as well. The run itself from the Fuel tap to the filter only required 3 P Clips. The tank itself requires two interconnections. The first across the top is for the vent so when you are filling the tanks you do not over pressure them and the second is for fuel equalization between the 2 sides. The other pipe is a lot harder to see. Both ends of these pipes are secured by P Clips to make them less likely to fail when in use. The next part of this is the fit aft of the fuel filter and an overlook at what is left to do. Its getting closer all the time and I am getting very excited!